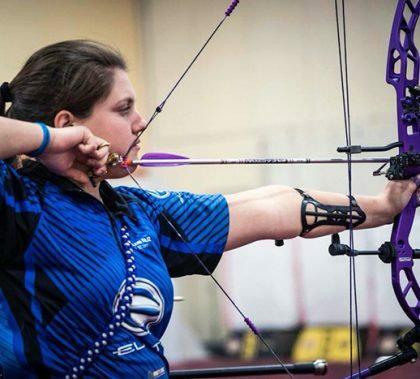 Grand Canyon University has an archery champion in its student body — nursing major Alexis Ruiz won a major tournament in Las Vegas earlier this year and also was a 2017 World Archery Youth Champion. But she’s targeting a much bigger goal: She wants to be No. 1 in the world. 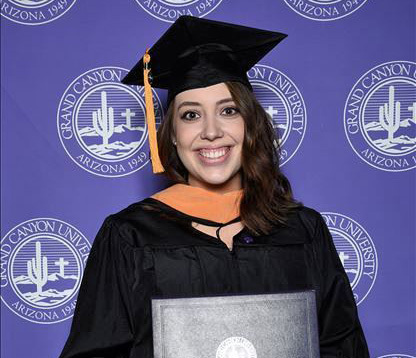 Paige Estrada traveled almost six hours from her home in Apple Valley, Calif., to GCU to walk across the stage on Friday and get her master’s degree degree. 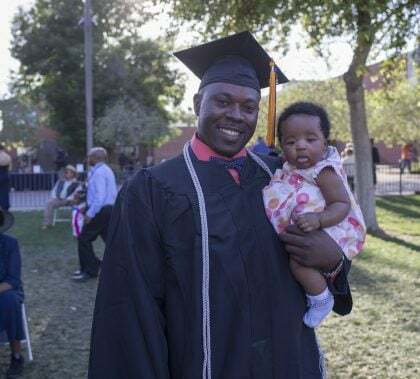 So even when the 22-year-old emergency room nurse, who is 36 weeks into her pregnancy, started feeling regular contractions just 2 hours before the ceremony, she was still determined to make it across the stage. 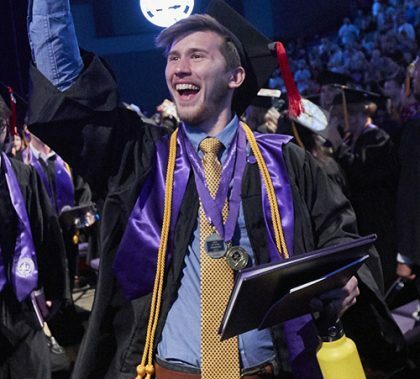 Time after time over three days of commencement, Grand Canyon University volunteers sought to make the experience special for the graduates. One of the ways they do it is the “tunnel walk” after each ceremony — applauding the grads as they walk out of the Arena after the ceremony. It was just one of many memorable moments. Photos by Slaven Gujic and Travis Neely GCU News Bureau Online students from the College of Nursing and Health Care Professions, the College of Education, the Colangelo College of Business and the College of Humanities and Social Sciences received their diplomas at commencement Friday night at Grand Canyon University Arena. To view the ceremony, click here. Kimberly Rabanal was five months pregnant when she decided to go back to school. Just three months later, her father was diagnosed with brain cancer. But that didn’t deter her; it motivated her to work even harder. Rabanal was one of the candidates for a master’s degree in nursing at Friday’s afternoon commencement ceremony. 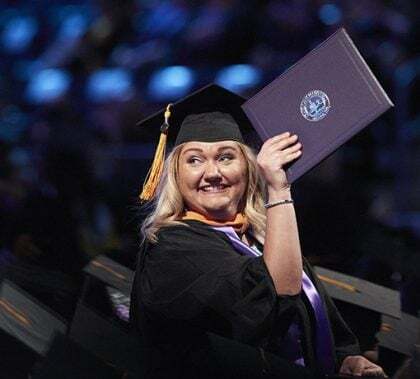 Photos by David Kadlubowski and Travis Neely GCU News Bureau The Friday afternoon commencement ceremony at Grand Canyon University featured doctoral and master’s degree candidates from the College of Nursing and Health Care Professions. To watch the ceremony, click here. 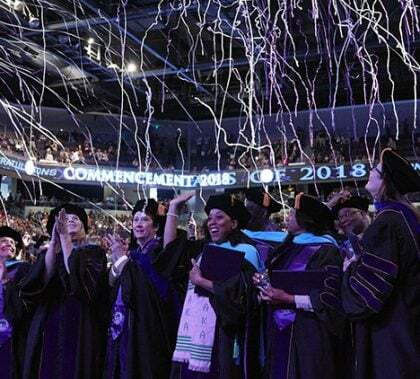 Photos by David Kadlubowski and Travis Neely GCU News Bureau Students from the College of Nursing and Health Care Professions, the College of Theology and the College of Science, Engineering and Technology participated in commencement Thursday afternoon in GCU Arena. To watch the ceremony, click here. 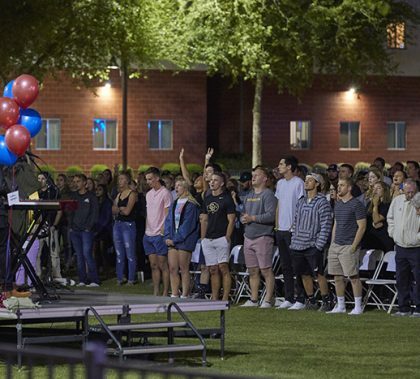 “We’re here tonight to hopefully, not only mourn together and remember together, but to celebrate their lives together,” Dr. Tim Griffin, Dean of Students, said at Tuesday night’s Celebration of Life ceremony. The GCU community honored the lives of Christian Applegate, Roy Pietrek, Keisha Nicole Oyola Perales, Dr. Tiffany Mealman and Taylor White. 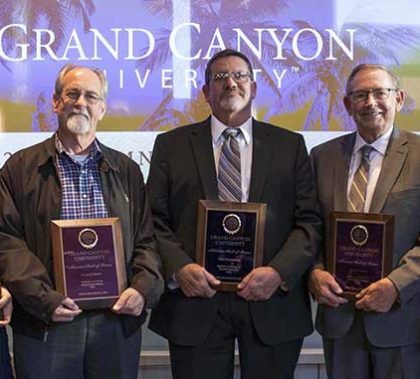 There was laughter, a few tears and a stirring sense of pride Saturday during Grand Canyon University’s Alumni Hall of Fame induction ceremony. The event celebrated five new inductees with long, successful careers and a passion for giving back to the community.